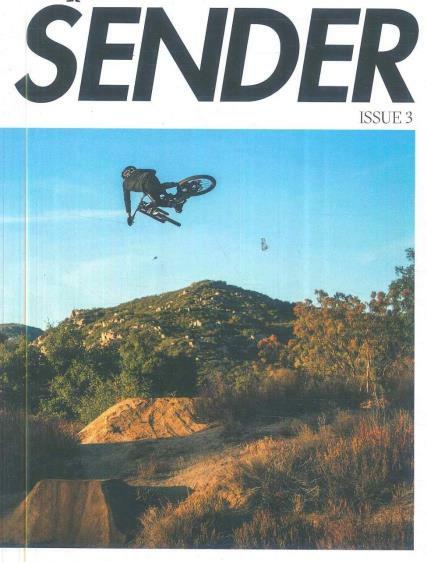 Sender is a bi annual magazine born from a deep rooted passion for mountain biking. The magazine focuses on the people and places that define the sport. Buy a single copy or subscription for Sender magazines. Sender magazine is an independent publication showcasing mountain biking as a culture. Each issue features news and articles from the riders to the trail builders and even the engineers responsible for the technology. Filled with amazing photography of racing and trails from around the world.